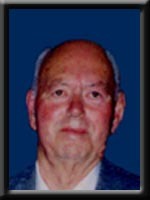 DECKER – A. Keith, 79, of Brooklyn, Queens County, passed away peacefully in Queens Manor, Liverpool on Tuesday, February 16, 2010. Born in East Ragged Island, Shelburne Co., he was a son of the late Cyrus and Lois (Harding) Decker. In his early years, Keith was a commercial fisherman. He was a former employee of Bowater Mersey Paper Company and worked in the Groundwood Department. At his retirement, Keith was foreman of the TMP plant. Keith was very active in his community, serving as chair on the Brooklyn Cemetery Committee for many years and as a volunteer with the Queens County Museum. He was a member of the Shelburne Genealogy Society and the Queens Family History Group. He is survived by his wife “Betty” (Smiley); son Douglas of Brooklyn. Sister Elsie Adams of Dartmouth. He was predeceased by his sisters Rosalie Decker and Jean Berry. We are sorry to hear of your loss. Our thoughts and prayers are with you. The planet has lost a good man, but heaven has gained a great and gentle soul. Betty….so sorry to hear of Keiths passing, my thoughts and prayers are with you…..
We know that Keith meant the world to you both. You all fought a long and difficult battle. In time you will remember the good times and cherish those memories. Betty & Doug, so sorry for your loss. Please know you are in our thoughts and prayers during this difficult time. Dear Betty and Doug -I am so sorry to hear of Keith’s passing,my thoughts and prayers with with you at this sad time. Sorry to read of Keith’s passimg. My sympathy and prayers are wiyj you and Doug. Our thoughts and prayers are with you both at this difficult time. Keith will sure be a great miss to the comnunity and to all who knew him. Sympathy is being sent to you and your son Doug on the passing of Keith. He was a great mentor to Ira while at the mill. A great friend to those who met him. Doug,it was a pleasure to have known your dad, my thoughts are with you at this sad time. My deepest sympathy on Keith’s passing. He was a good man ,husband and father. I will always remember the time out at the cabin with the peanut ,the string,the chipmunk and him. Betty & Doug, You are both in my thoughts & prayers in your time of sorrow..I will miss him dearly & your visits as well ..God bless you both. Betty and Doug,my sincere sympathy at this difficult time. Dear Betty: Our sympathy and thoughts are with you. We will always remember Keith as a dedicated active member of the Shelburne County Genealogical Society where he has left a significant footprint . On behalf of myself and the Shelburne County Archives and Genealogical Society I offer our condolences to Betty and family. Dear Betty and Doug: Out thoughts and prayers are with you both at this difficult time. His love and gentleness to everyone he knew will always be remembered. dear betty, sorry to hear that keith passed away. i loved him very much, he was so special and good to me. love and hugs. We are sorry to hear of your loss.Keith was a great guy and would always take the time to have a little chat when we met him anywhere.Our thoughts are with you. So very sorry to hear of your loss and want to assure you dear Betty as well as your family of my sincere sympathy. My thoughts and prayers are with you and your family during this time. Keith will be deeply missed by friends and family. Sorry to hear of the passing of Keith.our thoughts & prayers are with you both at this difficult time. Thinking of you at this sad and difficult time. Find comfort in the fact that this is not the end and you will be re-united with him in the heavens. May the Lord bless you with peace and solace. All of our thoughts and prayers are with the Decker family. So sorry for you loss. Betty, so sorry to hear of Keith’s passing. Just lean on God’s strength for your support. God is always there for us when we need Him. Our prayers are with you both. Sorry to hear about Keith’s passing. I spent many hours at the Queens County Museum with Keith researching our families. He was such a hard worker, a valuable volunteer and made the Family History Group interesting and enjoyable. He was a great guy and he will be missed, not only by his family but also by his many friends. My thoughts and prayers are with you both. I am grateful to have know Keith through his time at Queens Manor. I will remember his kind heart and gentle soul. We will miss your daily visits Betty. Hugs to you.. I was sorry to here of the passing of your husband,Keith. I am going to miss him at the museum.Losing someone is very hard to deal with,but try to always remember the good times,they will help you through. We are all like our parents, and although I never met your father in some ways I knew him. I’m certain He was a good man. May the many good memories of your father ease this time of grief for both yourself and your mother. We are saddened to read of Keith’s passing. Sincere sympathy to you and the family. My thoughts and prayers are with you and your family at this difficult time! Sorry to hear of Keith’s passing. I’m so sorry to hear of Keith’s passing. He was a lovely man and a good neighbour. Sorry to hear about the passing of your Dad. He was an easy man to work 4 back in his groundwood days. My Thoughts & prayers are with u. & your Mom, may God give u & your Mom comfort. You don’t know how much we have missed Keith since he went into the Nursing Home. A big loss to the genealogy field. But he is in a better place now and teaching them all how to do their family tree. See you soon Betty. Take care. So sorry to hear about Keith.My thoughts are with you both,take care. While working at Queens Manor I have had the pleasure of getting to know and spend time with Keith. He was a gentle, kind man, with a heart of gold. My thoughts are with you and your little dog Louie at this time. May Louie continue to bring you lots of happiness even throughout this difficult time, as I’m sure Keith would want you to. I was saddened to learn of Keith’s death. I will always be grateful to Keith for his help in caring for the financial affairs of Aunt Frances. Keith was diligent and thorough in handling these duties. I also enjoyed my brief meeting with Keith either in the Nursing Home or at your home in Brooklyn. Having spent five of my early years in Brooklyn it has the feeling of home. But now that Frances and Keith are gone my connections grow ever more tenuous, yet, Brookly and the people I knew there will always be a warm memory for me. My most sincere condolences to the family of Keth Decker. He and his wife, Betty, were very gracious, kind and warm to my family. I will always appreciate his gentleness and generosity of spirit.